Adjust Gloss From Matte to Shiny. HD DRESS is a versatile water-based protectant that is designed to shine, darken & protect exterior non-painted porous surfaces. HD DRESS uses a unique no-sling formula that works excellent on tyres! 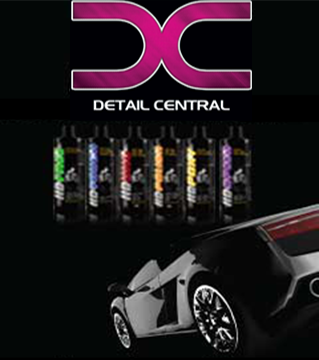 Special proprietary non-surfactant formulation means the shine lasts extremely long. This non-greasy dressing is perfect for tyres, textured plastic trim, wheel well arches & engine compartments. Thick polymerised glossing agents allow the level of gloss to be adjusted from matte to shiny depending on user preference. Can be sprayed or wiped on. HD DRESS guards against UV damage and premature wear keeping the surface looking like new. You no longer need to use multiple products when HD DRESS can take care of all your dressing and protecting needs. Water-based, solvent free and VOC compliant. Make sure the surface you are treating is clean so that maximum absorption can be accomplished. Spray directly on surface or sponge with HD Foam Applicator Pad. For added gloss apply 2 coats of HD DRESS. Product can be diluted up to 2 to 1 for a more matte type appearance.